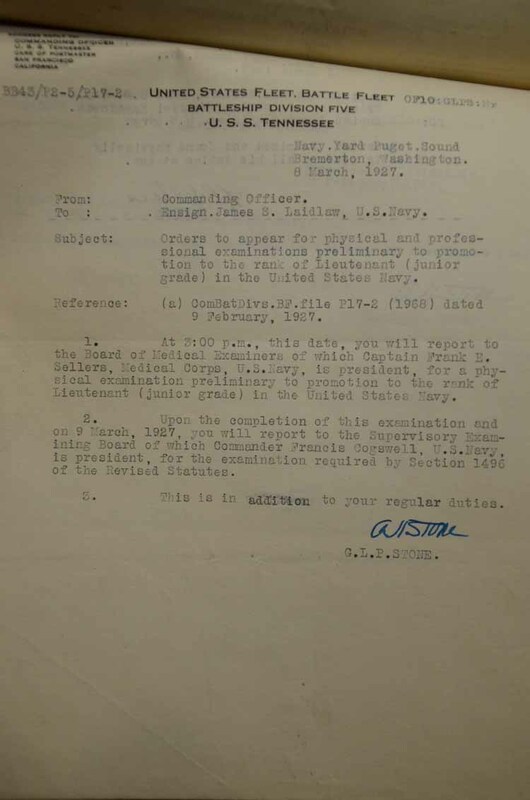 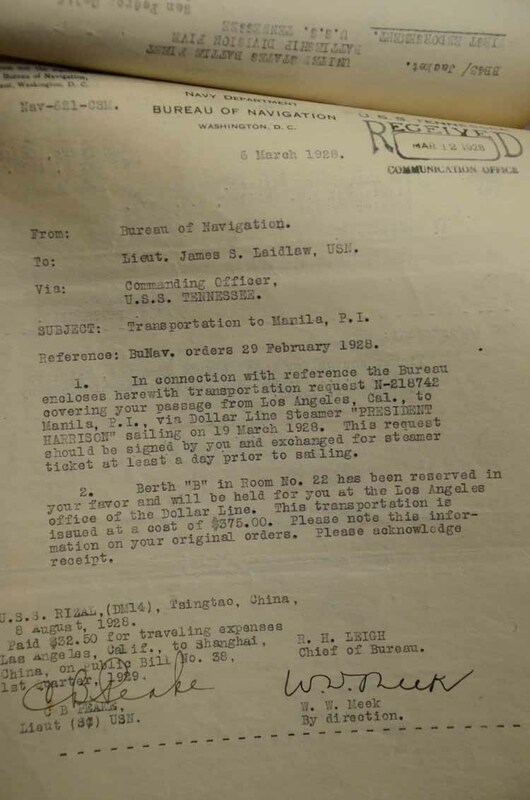 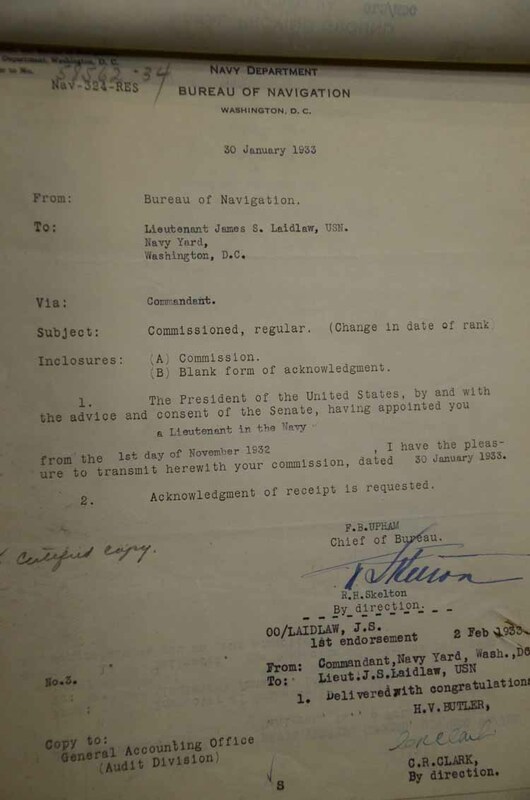 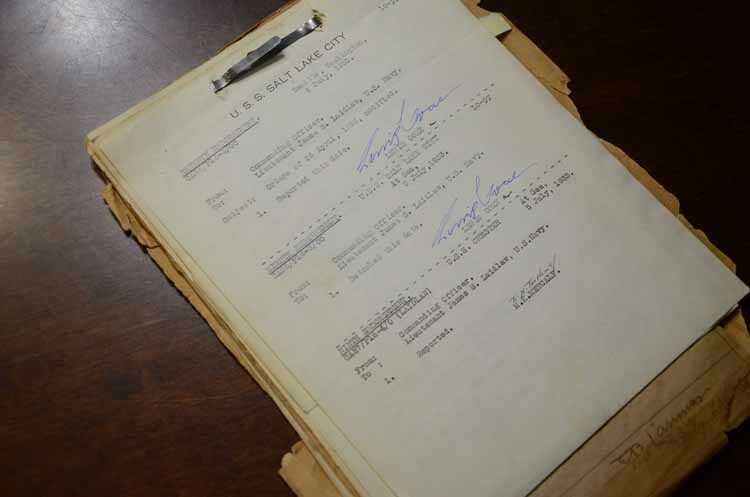 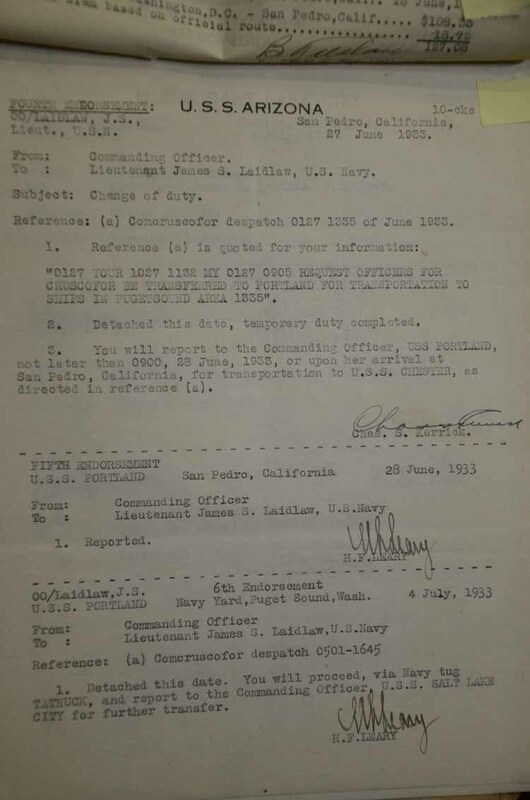 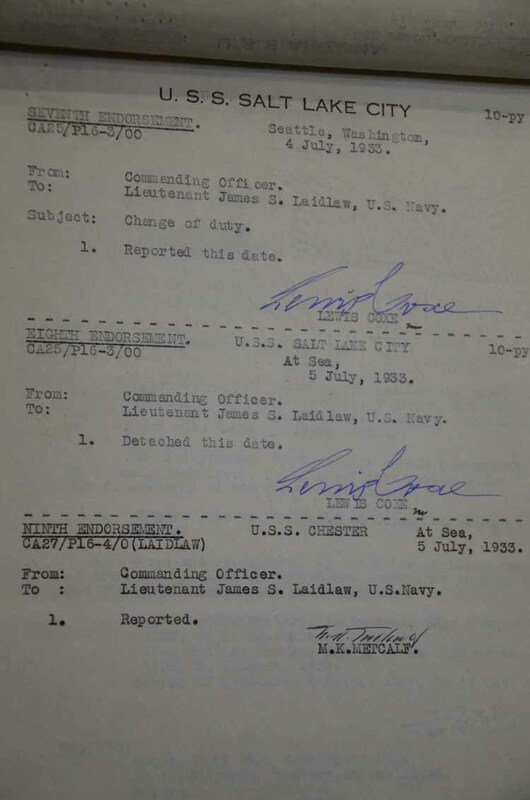 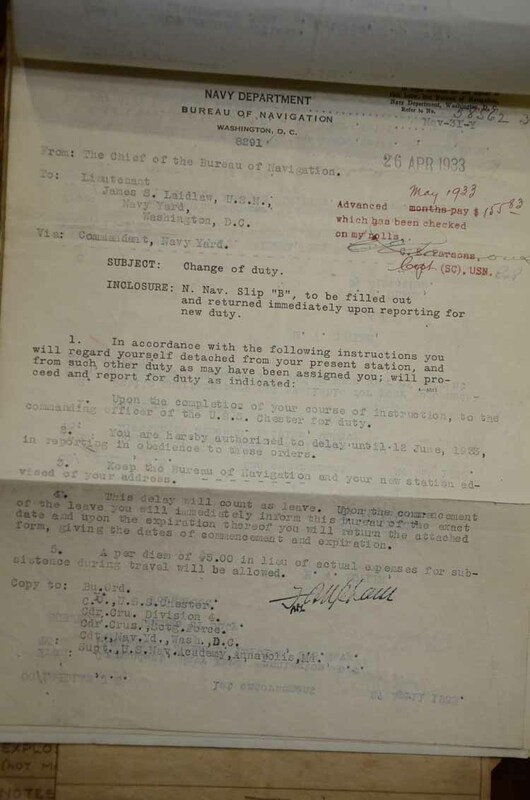 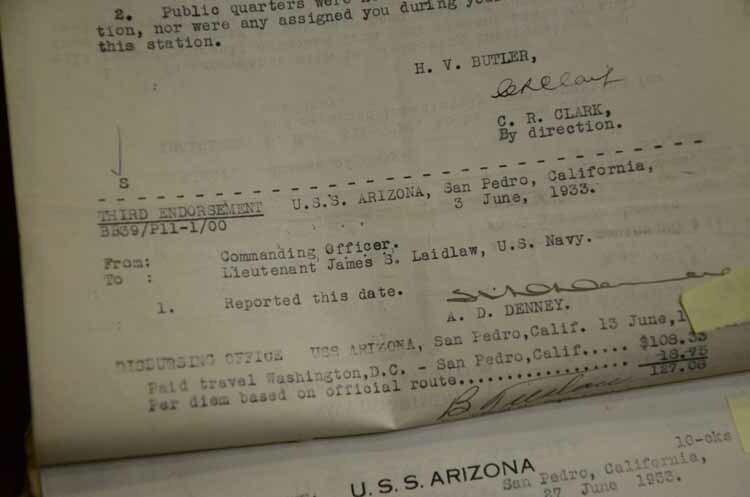 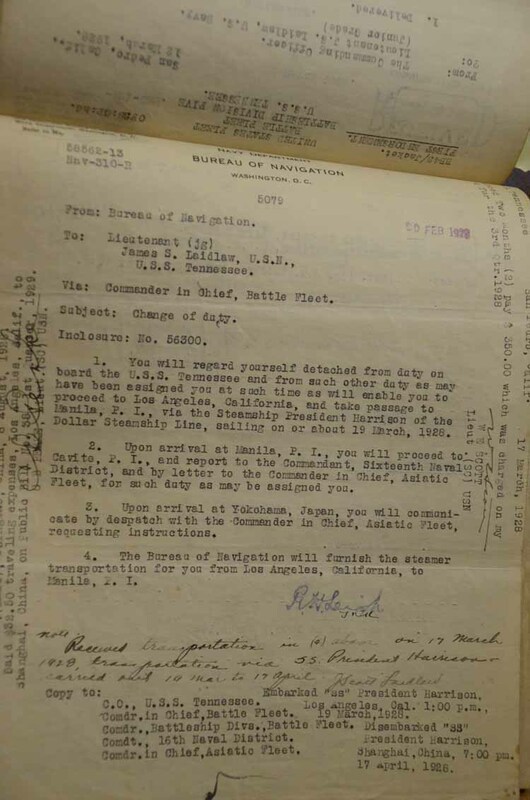 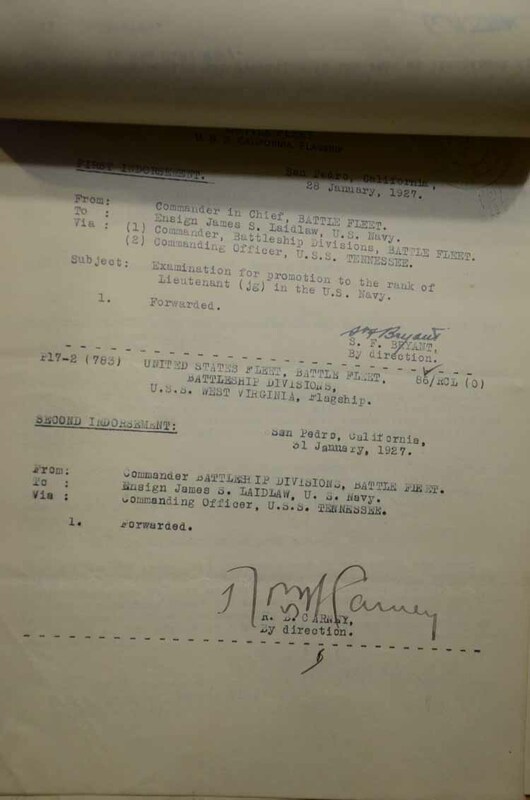 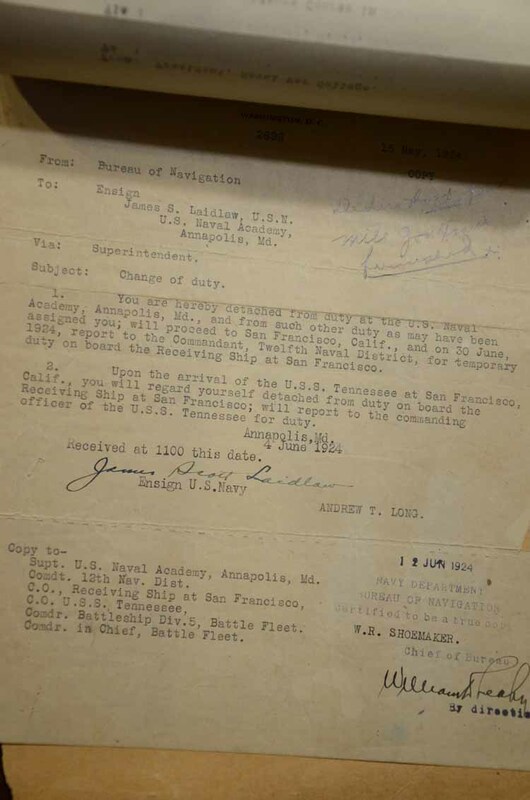 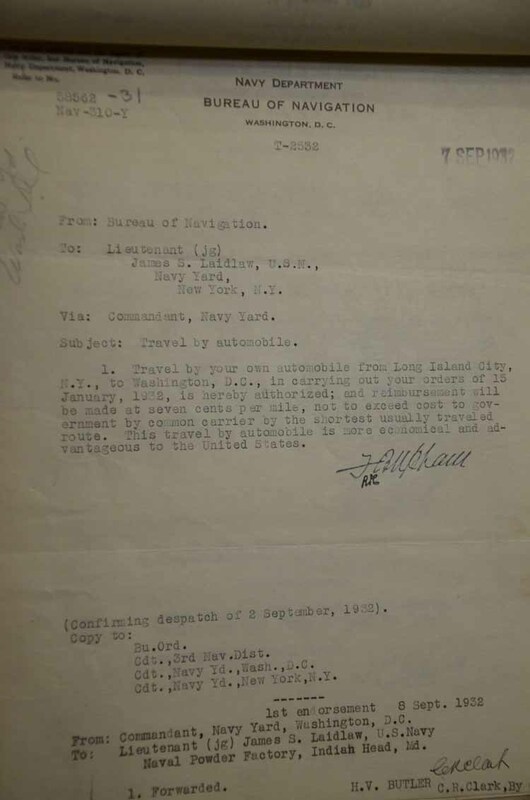 Document and orders file for Lt. James S. LAIDLAW covering his service from 1926 to 1933. 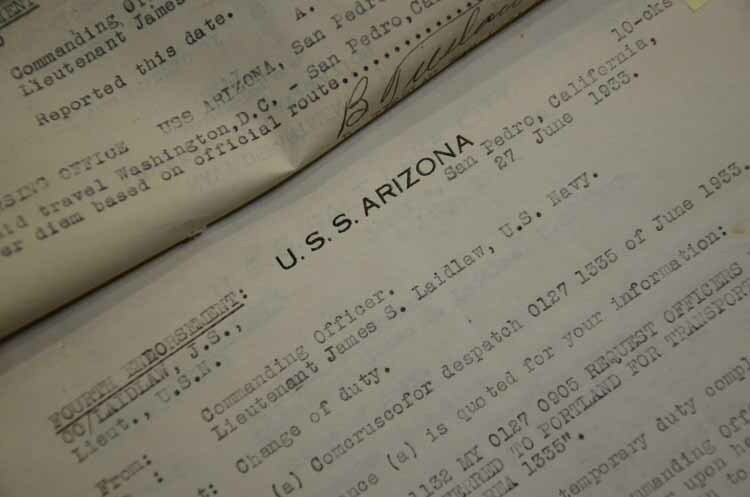 Her served on many ships including the USS Tennessee, USS Salt Lake City & the USS ARIZONA! 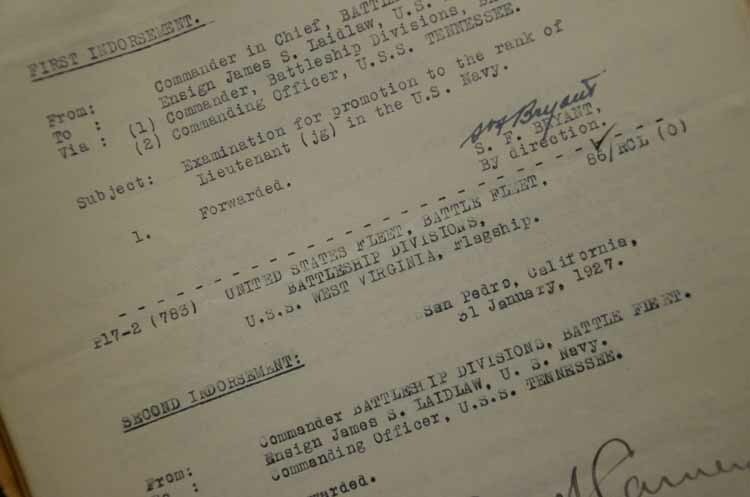 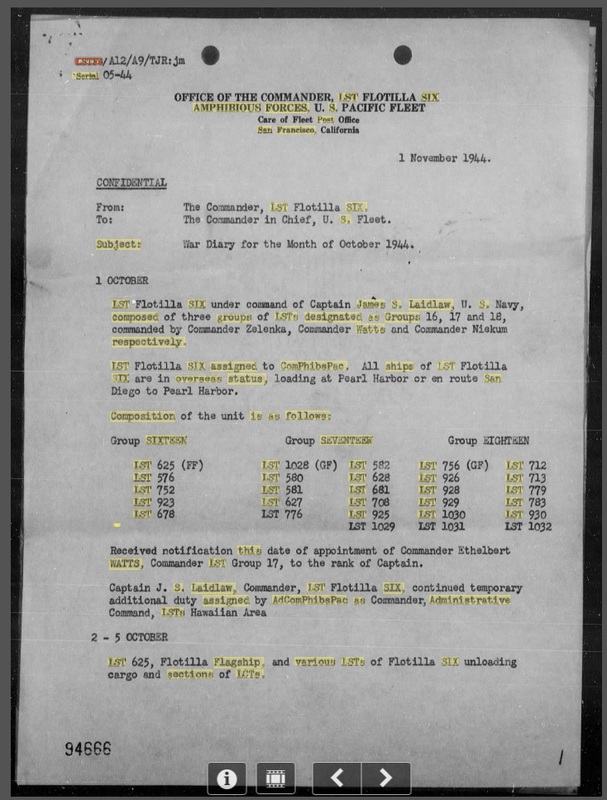 A little internet research shows that he later, promoted to Captain, served as Commander LST Flotilla Six and was the tactical commander of the amphibious assault on Iheya Shima. 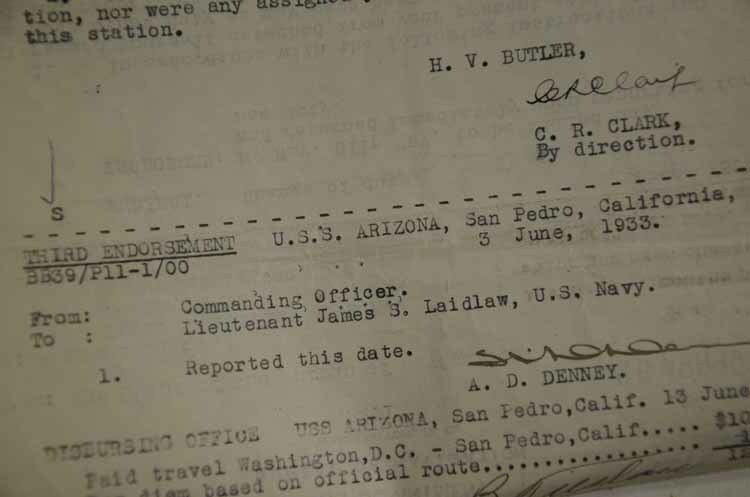 I found also where he was the commander of USS Newport news in 1949. 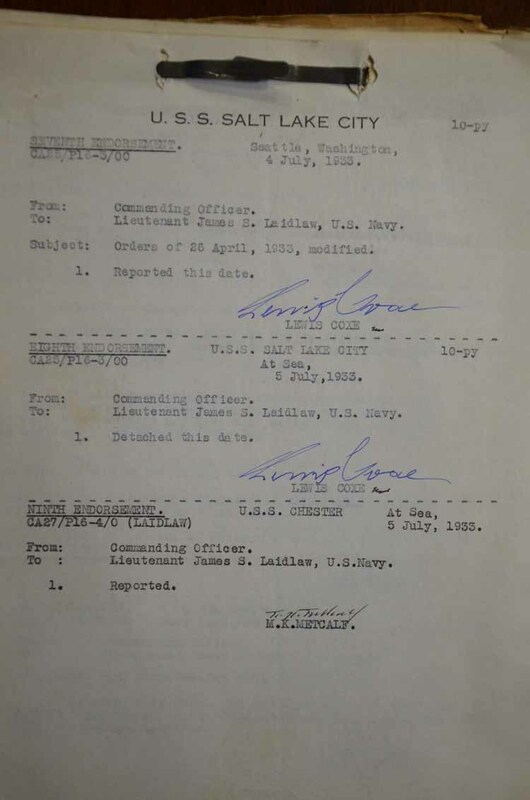 There are also many war diary hits on Fold3 for him. 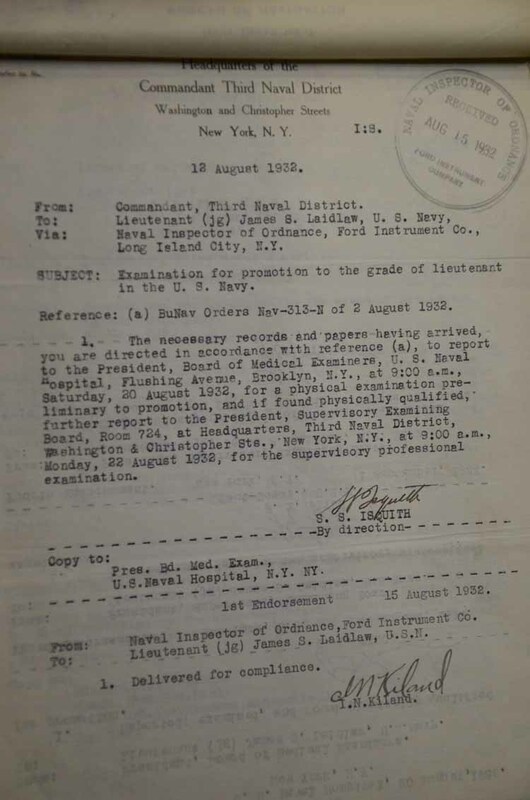 Needs more research!